Have you filed a personal injury lawsuit? You are in need of cash to pay your bills, medical expenses or something else? It can be extremely hard to get back on your feet after an accident because of which you’re unable to go to work and provide for your family. But don’t worry, there’s always a way out. 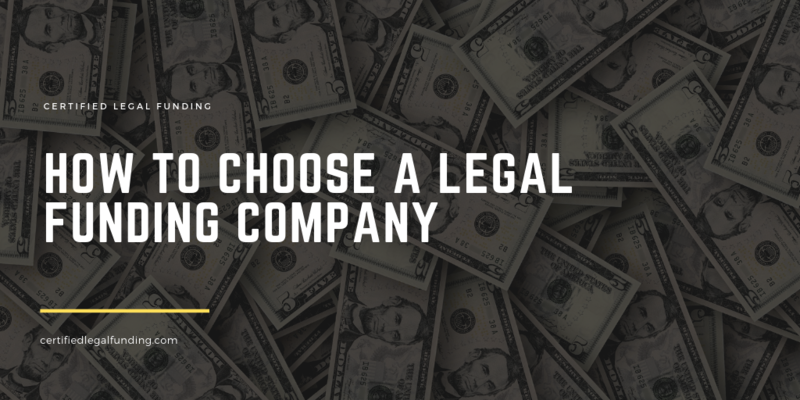 All you need in this case is selecting an appropriate legal funding company and pre-settlement funding. It’s recommended that you do research regarding funding companies. As in any industry, there are companies worth hiring and the ones worth avoiding. A good lawsuit company will work closely with your attorney and will also contact you personally. If the attorney and company collaborate, you won’t need to worry about every detail of your case and you can focus on getting better after the accident. If you feel the pressure from the company to sign the contract for a cash advance loan, you should think twice about it. If you experience any problems or just have questions, you should be able to reach your funding company and get answers to your questions and problems very quickly. If you find that the lawsuit company is trying to charge a huge interest, consider searching for another one. Also, if there are compounding rates, find out how often they charge them. Compounding interest means that you’re paying interest on your interest which could be difficult to pay back in the end. There’s a possibility that you find a company that charges an application fee just to go through your documents and determine whether you qualify for pre-settlement. This is something you should avoid paying. A good company is a risk-free company. If it happens that you lose your case, a legal funding company shouldn’t require you to pay them back anything. Before signing any agreement, make sure you read it carefully. You don’t want any extra fees being slipped into it. All the terms and fees should be easy to understand and to the point. When looking for a legal funding company, look for positive reviews from clients and attorneys, as well as a good track record. When you find it, it might be the perfect one for you. If you stand a good chance of winning your case, and the lawsuit company assesses it based on your documents, you will get the cash advance. Here at Certified Legal Funding, we will do anything in our power to help you and make your life easier while you’re waiting for your lawsuit settlement. Feel free to call us at 800 922-7439!